Andrea (the wife) and I spent a big chunk of our weekend playing in the dirt, mulch and horse poo. We got nice and dirty, a little smelly and very tired. The effort was well worth it. We now have a garden full of our favorite vegetables! What better way to know where your food is coming from than to grow it yourself? This is our 4th vegetable garden we have planted. I think we've finally gotten it right. Year 1 we had very little clue what to do. We ( I ) dug out an area in the yard for the garden. My mother brought us a few garbage bags full of horse manure and her garden tiller . We did a good (sporadic) job of watering and used some miracle grow to help get good, healthy plants. Year two wasn't so successful. Year two we got a puppy. Lets just say our puppy likes the dirt and garden plants don't like puppies. Year three we put up a fence. Puppy problem solved! We also tried Landscape Fabric to stop weeds from growing. We did have less weeding to do, but weeds still grew. They just grew under the fabric. Now is year four. No tiller this year. I dug up the dirt with a shovel . We got 6 garbage bags full of horse manure from my mother. My lovely wife got our plants from The Mercantile Greenhouse in Richfield Springs. If you are ever in the area you have to stop by. Ron and Carole Bayzon grow some beautiful plants! We're not using miracle grow this year. We are keeping it all natural. We are even going to start composting. 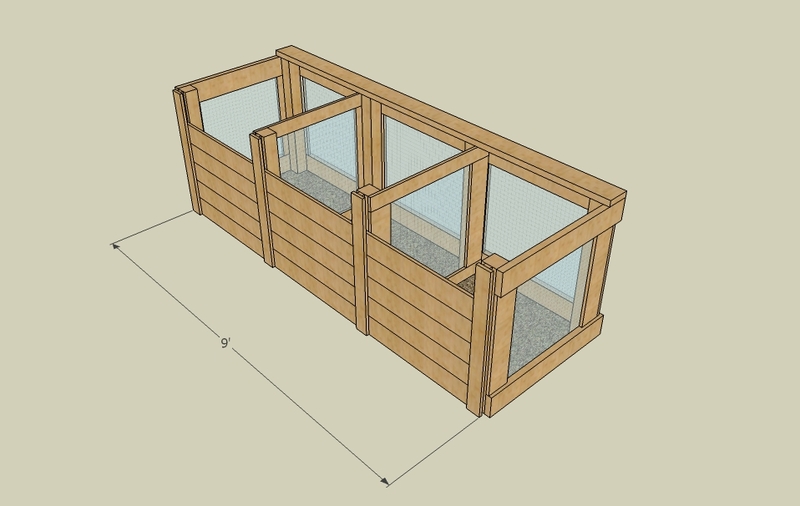 Next project for me... Building a compost bin. Do you grow a garden, or grow vegetables in pots around your home? If not, you should give it a try this year. It is good for you and the environment. Nice garden...what did you plant? We planted tomatoes, peppers, zucchini, squash, cucumbers, beans, lettuce, swiss chard and spinach. That's going to make one hell of a salad! I'm glad that you wrote this post... Matt and I will be planting our garden this weekend and are also looking to start composting. Make sure to post your tips on that when you start too! i dug up an area for a garden today! Hopefully the groundhog living under the shed leaves it alone. @Tracy I'm glad to hear you guys are gardening. It's the healthiest way to eat. Let me know if you guys need any advice. Andrea and I have a few years of experience (mistakes) under our belts. And let us know if you have any gardening tips; we are still learning as well.